As I get older, my body aches more. After a recent physical, my doctor asked me how often I took ibuprofen. When I replied, “daily”, she asked me why. Because, I told her, I never have a day where I don’t ache somewhere. The most recent aches and pains come in the form of a persistently sore left rotator cuff. The rotator cuff, as the name implies, is the main socket which allows your arm to rotate, do windmills, and similar functions. An x-ray indicated some degradation of the cartilage, mostly minor, but also a slight tear. So off to the physical therapist I went. The sore shoulder didn’t interfere with my ability to ride, but it would ache occasionally during a ride and afterwards, along with my usual backache. The Domane 5.2 I ride ship with a set of alloy handlebars, branded Isozone by Trek. Although aluminum can transmit a lot of road vibration, these bars had a layer of gel padding on top as well as gel-padded bar tape. The aches and pains — particularly the shoulder, which would sometimes be pretty sore after a long ride — still concerned me, though. So being a nerd, I sought a tech solution. Initially, I considered buying a new bike; Trek just shipped a new line of Domane bikes with an decoupled stem mechanism that soaks up road chatter transmitted by the stiff front fork. However, spending $3,800 to $4500 seemed a little excessive to solve a few aches and pains. The Domane SL7 and above ship with a new set of handlebars dubbed Isocore. 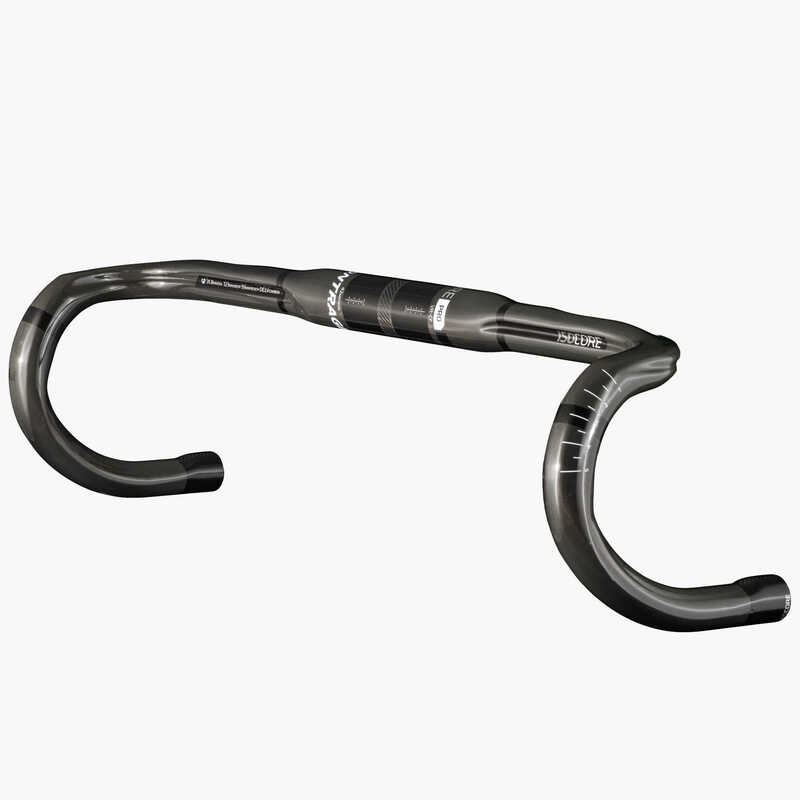 The Isocore Pro VR-CF bars, made by Trek’s component division Bontrager, are not cheap at $325 ($299 from my local shop). 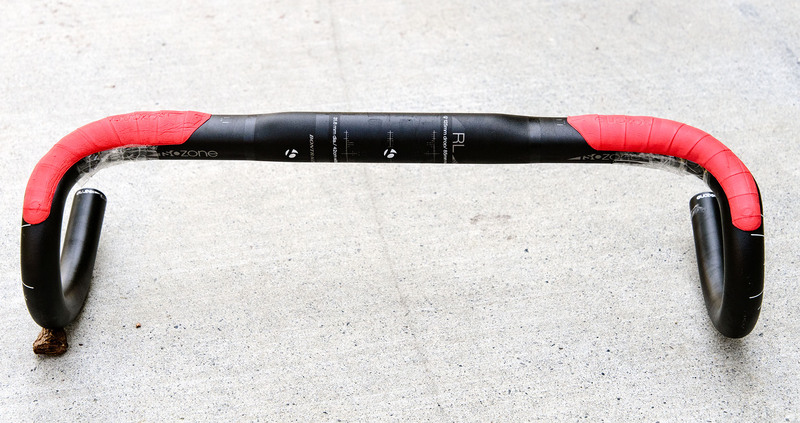 These carbon fiber bars embed an elastomer material between layers of carbon fiber, which help dampen road vibration. Toss in some of the company’s Isozone gel padding, and you have a pretty good recipe for absorbing road chatter. 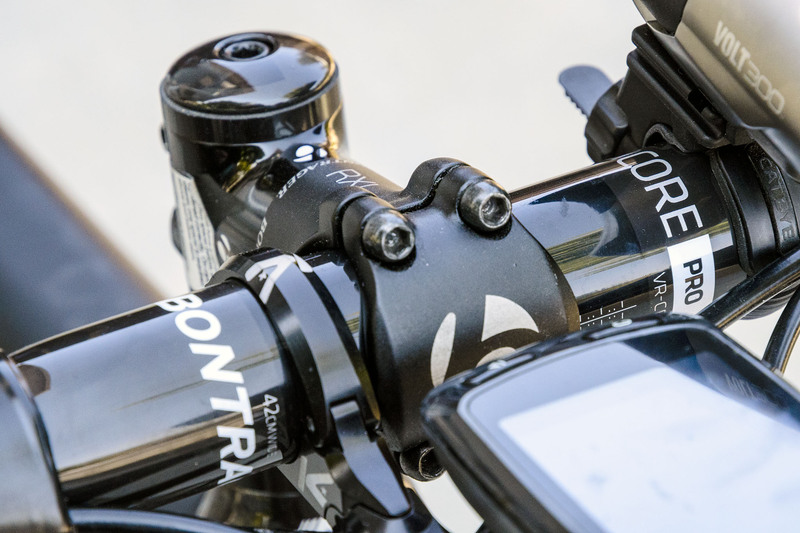 Unlike the full-on, mechanically decoupled stem, these won’t do a lot to absorb big bumps. However, it’s the steady road chatter, wooden bridges, occasional rough asphalt, and normal riding that contributes most to those little aches and pains after a long ride. Let’s dispense with the weight question immediately. The Isocore bars weight 249 grams, while the Isozone alloy bars I’d been using weigh 277 grams. That amounts to about an ounce difference, hardly a factor when riding. I’d do better to lose a few pounds. Instead, I hoped the new cockpit would make life a little easier on shoulders and back. I’d never considered carbon fiber bars before, worried about durability. However, other than the car accident almost two years ago and an encounter with a block of concrete about five years before that, I’ve never crashed or dumped a bike. So while I’m a little nervous, the Isocore seems solid under my hands; I’ve detected no sign of flex. Attaching the gear that makes my cockpit — bike computer and headlight mounts — proved to be no problem. Like I said: solid. How does it ride? I notice a subtle difference when I ride. Rather than a suddenly silky ride, it’s more like the daily vibrations coming from the ride seem just a little smoother. Now that I’ve got a few rides under my belt, I feel like I’m recovering more easily. Some of that might just be the placebo effect, or getting into better shape. Even so, the more comfortable ride coupled with less soreness post-ride makes these bars worth the cost. And it’s certainly cheaper than a new bike.